I once heard my pilot friend say that it's really dangerous to fly near any Cumulonimbus cloud formations... Something about that it could drag the plane into it. 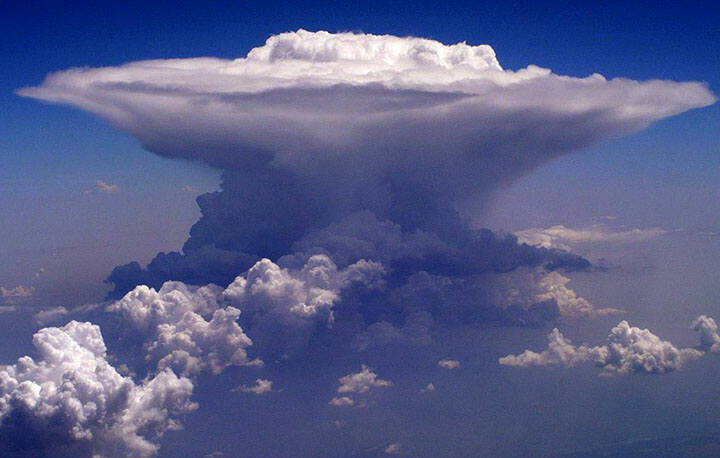 A cumulonimbus cloud (CB) is dangerous because of the processes occurring in them. At a minimum you will have an updraft and a downdraft containing rain. The particular CB you posted in your picture is typical of severe convection. The anvil is spreading out along the tropopause and there is significant overshooting tops over the anvil. This indicates the updraft in this cloud is very strong and there is a lot of energy in this storm. A storm like this likely has hail near the updraft, very strong winds both up and down and severe turbulence within the interface between and around the strong up/down drafts. There can also be very active in-cloud lightning as well as cloud-to-ground discharges. Threats near the storm are turbulence, lightning, large hail and significant downdrafts (e.g. microbursts). Threats within the cloud are severe turbulence, very strong updrafts (some as high as 100 m/s or more) and downdrafts containing torrential rain, hail and lightning. 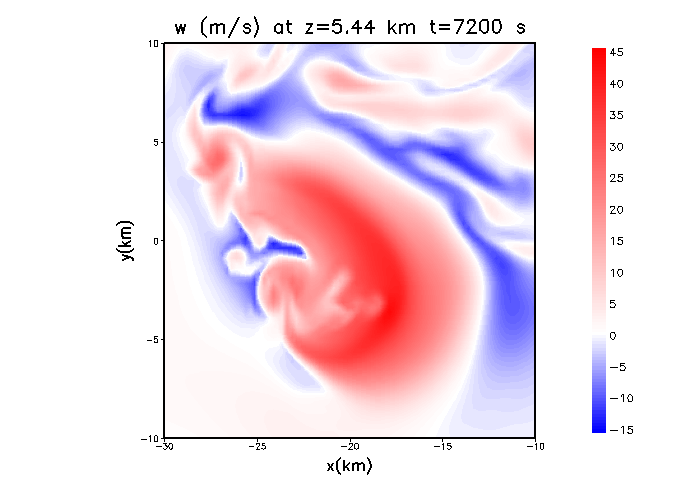 To better illustrate the magnitude of vertical winds, here is a quick plot from a modeled storm I am working with. In this plot the reds are updraft and blues are downdraft with the scale on the right in meters/second. The plot covers 20 km x 20 km area at a height of 5.4 km, which is close to 18,000 ft or 500 mb. This corresponds to the main updraft in a supercell and you can find areas where less than 5 km cover a vertical wind gradient of 50 m/s. If you were penetrating this at any decent airspeed you would be in for a very rough ride. This storm only had 1800 J/kg CAPE and updrafts can be much faster than this. CB clouds are (typically) realized from a release of convective available potential energy (CAPE), which is simply a measure of how much warmer a parcel rising from the surface is than its surroundings as it rises. In an environment that is favorable for convection (CAPE, vertical windshear) where there is ample moisture and a mechanism to force parcels to rise to their level of free convection you can end up with a CB cloud. A CB is simply a cumulus cloud with rain falling out of it and whether this is a small rainshower or a severe rotating supercell is determined by the environment the storm occurs in. A cloud is generated by condensation of water vapour. That emits the energy once stored in the vapour as heat. The heated-up air rises through the cloud, sucking fresh air from below, that again condenses. That creates a strong upward air current, and depending on your plane, you might not be able to escape it. (There are regularly casualties of gliders and balloonists dying of hypoxia in high altitudes.) However, what goes up must come down, so around those clouds there are strong down-currents. The windshears between up- and downwind can be extreme. In a sentence, cumulonimbus clouds, aka "thunderheads", are more or less land hurricanes. They are formed when warm, humid air is quickly forced upward into higher altitudes where its water cools and condenses rapidly. This updraft can occur in many ways, as simple as high thermal heating or lateral winds being forced upward by terrain, to "collisions" of other weather events, like a strong warm front passing through an area of low pressure (which will pull in air from all directions, and the only plae the air then has to move is up) or a warm and cold front meeting with the cold air forcing the warm air higher. When this happens, a lot of moisture can suddenly no longer remain in vapor form, and condenses into rain, but the updrafts can keep the rain in the cloud for a while, letting more and more liquid form. Thunderheads pose several dangers at practically any altitude. At the surface, first is the torrential rain, which can reduce visibility to zero in the blink of an eye even for drivers on roads. Then you have the high straightline winds which can force vehicles with bigger cross-sections, like vans, box trucks and semis, off the road. Third is hail; the strong updrafts and downdrafts combined with the rapidly cooling air causes ice chunks to accumulate layers as they're tossed around by the air currents within the cloud, until they're finally too heavy to remain aloft and fall as hailstones. Here in North Texas, hail up to grape size is common with these storms, and the last really big storm we had produced reports of softball-size hail, which will destroy cars, punch holes in roofs and most definitely kill unsheltered people and animals. Last, and worst, is what happens when these strong updrafts and downdrafts are coordinated enough to form a vortex. Gyroscopic precession and the Coriolis effect will kick this vortex on its side, and you get the strongest weather event that can form over land; a tornado. Even the weakest of these are deadly to anyone who doesn't take shelter in a reinforced interior or underground space.  For aircraft, you have all these hazards and many more. First is the severity of the updrafts and downdrafts; if the currents inside a thunderhead can keep a chunk of ice the size of a softball aloft, just think what it'll do to your little Piper Cherokee (or even a 747). Second is icing; as your plane is getting tossed around, the same near-freezing water condensation that forms hailstones finds the ultra-low-pressure environment over the top of your wings' leading edges simply irresistible. Third is debris; if there's an active tornado or even high straightline winds associated with this event, not only will you have ice flying around, but dirt/sand, rocks of varying sizes, tree branches, all the way up to Dorothy and Toto. Even planes with a military pedigree, like the P-3 Orions that are used to track hurricanes, can't survive this kind of onslaught. Don't go anywhere near a thunderhead. Just don't. In fact, if you're a private pilot, don't even take off if there's a thunderhead anywhere near you, and if you're flying cross-country and see one, get on the horn with ATC immediately and request information on its course and speed and what you can do to avoid it. For pilots of small unpressurized craft the answer will usually be to put the storm front on your tail, open up the throttle and find the nearest airstrip that can take you. Cumulonimbus clouds are formed by rising water vapor droplets which cause powerful upward air currents; obviously this creates very unstable and turbulent air which could be detrimental for an aircraft. Torrential rain, frost and lightning can be dangerous for a numbers of reasons - but mostly for icing on aerodynamic surfaces and pitot tubes becoming blocked. Not the answer you're looking for? Browse other questions tagged weather or ask your own question. How does one train for making landings and takeoffs in bad weather? How to get out of icing conditions asap? How does a jet engine handle suddenly entering a lot of rain? Why is the mammatus cloud formation so dangerous? Where can the highest air density be found on Earth? To what extent are (non-urgent) PIREPs used by meteorologists? How can a pilot anticipate cloud formation? How do the FAR's define a cloud? What is the specific FAA regulation with regards to a pilot dropping jumpers into a solid cloud base?